WordPress is without doubt the most widely used blogging platform installed today. There are millions of WordPress blogs on the web and a wealth of information and additional functionalities which can improve your users experience and make things easier for you. When you purchase your domain name ask your provider to setup WordPress for you and avoid wasting time and committing possible errors that can show up at a later date and haunt you. Your provider will send you a USER and PASSWORD to access the BACK END of your blog. The back end is your control panel. This is where you manage your content, and do a variety of things, all essential to your online presence. There is so much information out there on how WordPress works it would be a waste of time, so here are some links to good resources you can bookmark and use to learn how to work with WordPress. Lorelle is certainly one of the best (if not the best full stop) resource online when it comes to WordPress. There is so much information on her blog that will help you get started with the technical issues of WordPress – see I told you there would be no need for me to write anything. When I got Mary started with her blog, things were slow at first but quickly picked up in speed as she became familiar with terms, instructions, common errors, and more advanced functions. But all this was very time consuming. Working directly on your blog via the control panel is a slow process: every time you save you interact with the server. Depending on the speed of your connection and that of your server, each operation you perform directly on the server can be very time consuming. That’s why blogging desktop software was developed and is widely used. Desktop Software allows you to write your posts directly on your computer and upload them when they are ready for publishing. Writing becomes much faster and allows you to work even if you’re not online. By avoiding contact with the server you’ll save a lot of time and be much more efficient. There are many free desktop softwares for blogging. If you use Flock or Firefox, scribefire is an Add On that works well allowing you to use your favorite browser to blog. If you’re on a Mac I suggest you purchase a copy of ecto, a full-featured desktop client for Mac and Windows, supporting a wide variety of publishing tools. – I find it an excellent desktop blogging tool. Another desktop blogging software I have used that works well is BlogDesk. i was using it on Windows before i moved to Mac last year. Blogdesk was good and allows you to easily interact with images, an important part of your blogging efforts. WordPress is a fabulous blogging platform, I just love it. I have 20 wordpress sites and I am considering converting some static sites over to being wordpress as well because there are so many ways you can sculpt your site, to be very individual. I have just helped my dad start a new blog and he it is a little difficult for him in the admin area of wordpress so I will have to recommend that he gets a blogging desktop softwware and he wont have to worry about the admin area for awhile until he gets used to WP and blogging..so thanks! Even if you get a web designer to setup your blog I think its a good idea to have a reasonable knowledge of how WordPress is setup to ensure the developers do setup the blog in the right way. If its a content managed site you have and you have no access to ftp, make sure your permalink structure and auto update ftp setting are setup. I’ve not heard of desktop software for blogging before and just used Word. Cheers. I am starting to realize that blogging is becoming such an important tool in the internet marketing world. 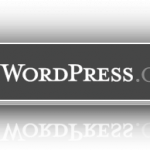 I have never worked with WordPress but I know it is a little on the advanced side. Using blogging desktop software can be a big help when first setting up a blog.